In my first job on Wall Street in 1982, I shared an office with the assistant to the top auto industry analyst, Maryann Keller. Our workspace was across the hall from hers, and I could watch and hear her through the glass. She never rested. From before I came in until after I left, Keller worked the phones daily. She had the best network in the industry. No one associated with the auto sector, from Chrysler head Lee Iacocca to Toyota president Shoichiro Toyoda would refuse her call. In fact, her messages went to the top of the pile. Sleeping, Vomiting ... Is There Anything You Can't Do at Ikea? When Keller wasn't working sources worldwide, she was digging into vehicle costs by model, labor negotiations, management changes, market share, environmental regulations, currency fluctuations, consumer spending, car preferences, balance sheets, industry gossip and really anything else that could potentially affect profits and stock prices of auto manufacturers and suppliers. She would then type, rapid-fire, clearly and concisely, with accompanying tables and charts, her findings and conclusions. Those were published in a constant stream of output worthy of a large team of analysts. She tightly controlled her business. My office-mate, her assistant, busied himself with reams of data and early spreadsheet software. But Keller arguably worked the phones hardest for her customers. She kept all of PaineWebber's largest institutional investors abreast, reporting on her conversations with management, her analysis of the profit and loss statement, her expectations for the future and her read on key opportunities and risks for auto stock investors. Back then, the big customers were not hedge funds, but large mutual funds such as Fidelity and Alliance Capital and state pension funds. No analyst or portfolio manager at these funds who had or was considering a position in an auto-related stock wanted to tell the boss or investment committee that he or she had not yet talked to Maryann Keller. No. That call was essential. And Keller returned each one. I watched her. I looked for a friend to stop by for lunch. I listened for a personal phone call. I tried to catch her daydreaming and gazing out the window. Maybe they happened, but I never did see or hear them. And as I watched her, I thought, "I could never do that." The sudden need for bodies on Wall Street as a new bull market began in the summer of 1982 turned out to be a boon to women--briefly. Analysts like Keller proved that women could research, cultivate important relationships and command respect as experts. All around me, women were succeeding. When Keller left to join another firm, she was replaced by a woman. The female assistant director of our equity research department rose to run the entire department. A young woman stepped into my next male boss's shoes when he was recruited away to another firm. The senior investment banker in my industry, retail, was a woman. Many of us joining the firm in those years were born at the end of the baby boom, raised to think women could do anything, educated as equals with our male peers, and we were lucky enough to have pioneers ahead of us to hire us and confirm our confidence. Women were already reaching management ranks, and most of us just assumed the trend would continue. But it didn't. First came the 1987 stock market crash when employment on Wall Street took a dive. Then when the new bull market that took shape in the 1990s, a combination of demographics, deregulation, technology, retirement of the old entrepreneurial guard and declining rates of return on old-fashioned government bonds united to promote a go-go culture that favored aggression and leverage. Various crises resulted; Long Term Capital's collapse, currency crises in markets targeted by speculators and the severe 2000 to 2003 stock market decline following unbridled promotion of tech stocks. Numerous legal and ethical investigations resulted in changes to some of Wall Street's investment banking and research practices. Women, by and large, did not lead this charge. Many benefited during the good times and enjoyed the work. But in each downturn, women, less politically entrenched, have lost out. Few rose to the top during management shake-ups. Downsizing fell on women managers more than the men. The women interviewed for this article expressed gratitude for their Wall Street careers. But most feel the industry does not value attributes they can bring to the table. Studies show that men are more effective leaders in male-dominated settings; women in female-oriented workplaces. So, on Wall Street, to advance, women must fit into the male-dominated, hierarchical world of Wall Street--or leave. Successful woman on Wall Street cite examples of great support from individual men in their careers. Yet in the next breath, they tell stories of ridiculous assumptions they have heard men make about mothers, or women who don't need to work because their husbands have good jobs, or outright sexism or harassment. Their anecdotes paint a culture that simply has not supported female advancement. Women at the top are a rarity. None heads a Wall Street bank. Few run investment banking or trading departments. The trajectory of the business, enabled by technology, has favored transactions over relationships, the quant over the researcher, the brash over the reflective. "It may be the game, and how the game is played on Wall Street mirrors men more than women," says business psychologist Sharon Horowitz who works in career and organizational development with Wall Streeters. "Wall Street is a specific culture." She is precise: "It is a specific culture of men." Women in financial services comprise 54% of the work force, but only 16% of senior executives and none of the CEOs, according to an analysis of the Bureau of Labor Statistics by Catalyst, a non-profit whose mission is to "expand opportunities for women and business." In large banks, hedge funds, and many Wall Street firms, women make up the majority of workers in support roles such as human resources, legal and compliance, administration, and customer service. But men still have a firm grip on the power structure. In the highly-compensated alternative investments and investment banking categories, women are scarce in top roles. In a Rothstein Kass survey (pdf) of alternative investment firms--hedge funds, venture capital and private equity--the accounting firm found that one in six answered that their firm was female owned or managed. Women-led firms tend to manage fewer assets than their male-led counterparts. Data collected by US Equal Employment Opportunity Commission for 2012 for "Investment Banking and Securities Dealing" put women as one-third of the sector's total workers; fewer than one in six are managers and more than half are clerical workers. While women make slow and steady progress in most industries and in government, Wall Street is an exception. Catalyst blogged in 2010 that the number of women between the ages of 20 and 35 in the brokerage and asset management industries dropped more than 15% from 2000 to 2010, while the number of comparable men rose. Meanwhile, females in the same age group in the overall US population grew in the same time period. Other sectors reflect gains for women. The number of women in Congress, for instance, rose 50%. 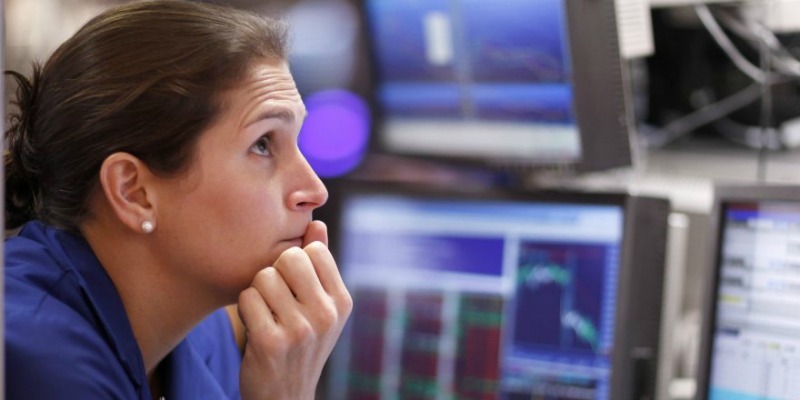 From the early 1970s to the late 1980s, women stock analysts working at brokerage firms went from one in 20 to just over one in five, according to research by Harvard Business School professor Boris Groysberg. After the 1987 stock market collapse, the percentage dropped, just recovering back to one in five in recent years. In other words, women have gone nowhere, and this in an arena where women are proven to excel. "In the 1980s, we expected more," says Groysberg. "We have basically failed versus expectations from 25 years ago." What's perplexing about Groysberg's findings is that women research analysts seem to be better than their male counterparts, yet remain so underrepresented. A recently published study in the Financial Analyst Journal reported that women analysts tend to be slightly higher ranked by institutional customers than their male counterparts. Women analysts' recommendations demonstrated a better rate of return compared to risk versus the men's. On that basis, the study's authors concluded that there is no discrimination against women in equity research. But only one in six of the analysts at all brokerage firms from 1994 to 2005, the period studied, were women, well below the rate Groysberg measured in the 1980s. The 1987 stock market crash disproportionately affected women analysts in Groysberg's research. The same pattern repeated itself more broadly when the industry contracted in 2000. A Securities Industry Association study of the bursting of the dot-com bubble found that women in the industry fell from 43% before the tech boom collapsed in 1999 to 37% in 2003 after industry-wide layoffs. In the most recent 2008 financial crisis, women lost out again. Sallie Krawcheck, whose rise on Wall Street was meteoric until her job was eliminated in a reorganization at Bank of America two years ago, has become among the most outspoken opponents of this backslide. Formerly at the top of Citibank's wealth management division, Krawcheck told the New York Times in April, "If you start to list off senior women on Wall Street, there are fewer today than there were even a few years ago. It's a shame." Research done by the New York Times and published last spring revealed how thin the ranks of women are among key decision-makers on Wall Street. In the Times's graphic, the percentage of women on the management committees of Citigroup, Goldman Sachs and Bank of America were 4%, 13% and a robust 36%, respectively. Goldman Sachs does not disclose, for instance, how many of its 400+ partners are women. Subsequently, Citibank has doubled its female representation on the management committee by adding one more woman to its 24-member team. "When times are good, intellectual capital is valued on Wall Street," says long time Wall Street executive Jack Rivkin, "It is more of a meritocracy. In a downturn, political savvy and connections become predominant." The meritocracy is where so many women's stories on Wall Street begin. A smart, driven woman finds herself making lots of money and moving ahead if she works hard and performs. The early years can be exhilarating. Roseann Palmieri's career exemplifies the climb. A 25-year veteran Wall Street executive, Palmieri reached the managing director level at Merrill Lynch as a senior executive in information technology. "I wanted an investment banking IT role," she says. "I started out at Smith Barney in 1988. There were really no women there except for the women in HR. I was a young girl not knowing what to expect, but honestly, the work was good. I didn't know what I didn't know, then." Palmieri shifted to Morgan Stanley. For years, she put her head down, working for the next challenge, the next advancement, the next raise. She had two children 11 months apart and kept working. She worked 10 years at Morgan Stanley and six at Deutsche Bank along with a stint at Bank of America. She put in her time and sacrificed. "At Deutsche Bank," she says, "I built a whole department working four days at the office and one day from home. Because DB is international, I was in London constantly, leaving the kids. There was a lot of stress. I never said, 'no.' I just said 'yes, OK, I'll go for 48 hours,' flying overnight and then back. I was the only woman managing director." She joined Merrill Lynch, which she describes as "a plum job. I loved working there." She had reached the pinnacle of her career. But that's about when things began to change: The power became unsatisfying. One day in 2010, Palmieri had an epiphany. "I was at the management table with the CEO," she says, "I sat there and realized, 'I'm at the table. I've made it. I've networked, I've clawed, I've said 'yes,' I've said 'no,' I've put in all this time and effort and I was underwhelmed. What I was getting back was not acceptable to me." Business psychologist Horowitz has observed a disconnect between Wall Street culture and the kind of work environment women often prefer. "It is very hard to create a sense of a 'we' on Wall Street," she says. "To do well, you have to be cut from a certain cloth. It is not natural for women: they have to work at it. Women are relationship-based, can multi-task better. The work has to be meaningful ... doing something meaningful is very important." So far, no woman who stayed the course has reached the top of any Wall Street firm. Erin Callan, former chief financial officer at Lehman Brothers, wrote a painful reflection for the New York Times in March. Five years after being fired before Lehman's bankruptcy, Callan seemingly takes no pleasure in the career heights she scaled. "Sometimes young women tell me they admire what I've done," she wrote. "As they see it, I worked hard for 20 years and can now spend the next 20 focused on other things. But that is not balance. I do not wish that for anyone." Callan regrets that her marriage and her friendships floundered. Now remarried, she hopes to have children. She is 48. "The sacrifices are enormous," adds Horowitz. "You have to work hard, the politics are hard, it is hard to be in a minority. Every day, you must be thinking, 'What am I not on top of that could take me out?' You've got to have champions in your firm. Men have a brotherhood, a tribal loyalty and they protect each other. A woman has to be part of an 'in' group. You have to build a relationship, to give and not just take. You have to know how to move ahead, how to get power and how to manage power, both formal and informal power." A Morgan Stanley colleague of Palmieri's once confessed to her, "Men don't know what to do with women, and we certainly don't know what to do with women in power." Today, Palmieri, still with the fire in her belly, would like to form her own company. At a stage in her career where she could be shaping the technology decisions of multi-billion dollar companies, she is instead looking to take control of her own destiny. Harvard Business School's second bestselling case study concerns Jack Rivkin's leadership of Lehman Brother's equity research division in the late 1980s and early 1990s. Rivkin, who started his career as a stock analyst, pursued a "no jerk" hiring policy as a manager. While the policy applied equally to men and women, the result was more women analysts compared to other firms. Lehman moved from the 15th-ranked research department in a poll of institutional investors to No. 1 in a record four years. A follow-up Harvard case study details the power struggle between the traders and the research department that led to Rivkin's ouster in 1992, despite his obvious success. He rejoined Lehman later in the asset management division. Harvard's Groysberg, who wrote the case on Rivkin, says all organizations benefit from "inclusiveness." "The biggest beneficiaries of having more women are men. If you embrace diversity of perspective, you will get more men and women with fresh perspectives. If we think about performance of an organization, we are going to do so much better if we embrace different perspectives," says Groysberg. Later, in 2004, Rivkin walked his own talk when he recruited Alison Deans, a former all-star brokerage firm analyst, to Lehman's recently acquired Neuberger Berman asset management business. Deans herself had already jumped from securities analysis to banking, working under storied banker, and now JP Morgan CEO, Jamie Dimon at Bank One. Promoted to chief financial officer of the commercial lending division of Bank One, Deans left friends and family in the New York area to live in Chicago. A No. 1-ranked analyst for many years, she was used to working hard, but the demands of the ever-driven Dimon exacted a price she was not willing to keep paying. "At Bank One, I had no life. I was on call all the time, all weekend." Deans stuck with it from 2000 to 2003, until the opportunity to work with Rivkin back in New York brought her home. She left a career-making job working for the rising star of the banking industry for more balance back in New York CIty. Neuberger Berman gained a talented manager with an acute financial mind. Deans headed its equities division through the financial crisis, leaving in 2009. Neuberger's employees financed a buyout as Lehman collapsed, and the business has since grown significantly. "Women are overcoming a set of patterns that have existed forever," says Rivkin. "The way the brotherhood is set up, you create a sub-optimal organization." "In a true meritocracy, it is a different sort of person who advances." How to lure women back? For one, he says the idea of 80-hour workweeks on Wall Street is outdated. "It is a case of working smart as opposed to working hard. It is becoming less of a necessary element to spend those kinds of hours at the office because we can save time accessing information and structuring a presentation with technology. The layers in organizations have been compressed." But really advancement on Wall Street is determined by one thing. "It's a culture of money," says Horowitz. For many women, and for some men, the personal cost is too high and the psychic benefits too low to stay the course and continue the climb. In 1967, Muriel Siebert bought herself a seat on the New York Stock exchange so she could play with the boys on an equal footing. "For 10 years," Siebert is quoted as saying, "it was 1,365 men and me." Siebert died last month at age 80; while women made inroads on Wall Street in her lifetime, Siebert remained vocally dissatisfied with the rate of progress. A video of hedge fund chief Paul Tudor Jones went viral in June when, on a panel at the University of Virginia, he said: "You will never see as many great women investors or traders as men, period, end of story." He reportedly said this to respond to a question about why there were no women on the hedge fund panel. For all the outcry, though, Tudor Jones was just saying what many on Wall Street already think. Trader Ginny Clark, now at boutique firm Beech Hill, was the first ever female trainee at Solomon Brothers and the first female block trader at Merrill Lynch in the late 1970s. She lived through an era of open discrimination and harassment that newly minted MBAs today would find mythological. "I put up with so much crap," she says. In her early days on Merrill's trading desk, "They constantly tested me." One trader went so far as to approach her naked she sat at her trading desk, asking, "Can you handle this?" Her long tenure in the business is unusual, and she sees Wall Street as much improved for women, especially from those days. Now, Clark thinks more women should be trading. "Women have common sense. There is an instinct that women have. Even though everything is algo's and machines, that instinct is important." Like many career women, Palmieri juggled motherhood with her high-powered career. But the path to top management does not leave much room for the demands of motherhood. At one firm, Palmieri says, "They basically told me, 'you can't get promoted to principal with two small children. You won't be able to put in the face time.'" Even Clark agrees. Though she has seen progress for women, when it comes time to climb the management ranks, "It gets ugly again," she says. "It is a macho world." Former analyst and banker Deans, who reached top management, acknowledges as much: "Politics becomes much more important in top management. Schmoozing is important." As a manager, Deans noticed that one of her best female employees rarely sought her out. The men who reported to her often stopped in to ask about her weekend or to tell stories about business successes. The female employee didn't take the time to nurture her relationship with her boss. "I realized that I was spending very little time with one of my most effective employees," relates Deans. "She was so busy getting work done that the only time I saw her was when something got in her way. I started thinking like a male manager: 'These women are always running in here with their hair on fire and the guys are all good guys.'" Deans decided to change her behavior. "I realized I had to take the time to stop by her desk and shoot the breeze a little; ask her how she was." Harvard professor Groysberg agrees that companies have to adapt to encourage diversity. "The reality is that in industry across the board, nobody is doing a good job managing diversity of culture or systems." 'How Do You Talk to a Woman'? There is one place where Wall Street has a clear mandate for more female participation: asset management. Various sources put women, through their own earnings or by inheritance, in control of half of all wealth in the United States. Wall Street's wealth management heads are facing this issue of women's power head-on. Through 40 years of increased participation in the work force, women have built wealth on their own. Added to that, superior longevity to men has concentrated serious money in the hands of women. Surveys indicating that wealthy women are more likely than men to want investment advice and to heed it have captured the attention of mutual fund companies such as Fidelity Investments and large brokers like Merrill Lynch. Yet women make up only 30% of investment advisers, according to Pershing LLC, a number the industry is trying to grow, even as baby-boomer women who did find a home in the industry are now retiring. "In investment advisory, it's all the rage to be a woman," says Laura Drynan, partner at Bourgeon Investment Advisors in Connecticut. "It's the new frontier, 'how do you talk to a woman?'" It's also a path for exiles from Wall Street's "sell-side" treadmill. Drynan found her way to investment advisory after having children and deciding the schedule of her former job as a securities analyst wasn't working for her family. "The firm owns you," she explains, "I was at my desk by 7 a.m. and usually home by nine or 10 at night. I traveled at least one week each month. Every vacation was interrupted with something. The balance is hard." "I decided my family was more important." Drynan, like many talented Wall Street women, found the work world offered options. Drynan now works with individuals and families, managing portfolios customized for each client, and finds her style well received. "We are more attuned to our audience. Men usually stay with their pitch." In the institutional sector, as well, women managers are in demand. Some states such as New York, Illinois and Connecticut have set mandates for adding diversity to the managers of their public pension funds. Maryland's State Retirement and Pension System allocated $44 million to a female-headed hedge fund according to public accounting firm Rothstein Kass. And with good reason. Rothstein Kass's December 2012 survey (pdf, mentioned above), "Women in Alternative Investments" reported remarkable performance for women-run hedge funds. In the five years leading up to 2012's third quarter, women-run hedge funds made a 20% profit compared to the hedge fund index's 14% loss. Rothstein Kass does not claim to have done deep statistical analysis on the comparability of the two indexes, but the outcome is striking none-the-less. Yet this same study found that at half the hedge funds polled, the investment committee was all male. One in five hedge funds reported that the chief investment officer was female. Culture and Crisis: A Case for Women? How did it come to pass that in 2008 our nation was forced to choose between two stark and painful alternatives -- either risk the total collapse of our financial system and economy or inject trillions of taxpayer dollars into the financial system...as millions of Americans still lost their jobs, their savings and their homes? The answer, to a large extent, lies in Wall Street's capacity to take risk with other people's money when the consequences of failure rarely fall on any individual. "Wall Street is a place where money gets tied to power," says Rivkin. "There is so much money that the value proposition is not normal. Power corrupts. Values such as objectivity and some basic human values go by the wayside. It happens in other places of power, too, like politics." Over three decades, Wall Street became the ideal petri dish favoring risk and consequently, favoring men. Studies consistently show men as more risk seeking than women. In the 1970s and 1980s, broker-dealers abandoned private partnerships in order to raise outside capital and grow. As firms merged or went public, risk became institutionalized while rewards were paid out to profit generators. A 30-year period of steadily declining interest rates meant that taking risk became the best way to make more money from money. Giant bonuses fed a cycle of arrogance that flushed out the naysayers. Indeed, in extensive research on "decision traps," men appear more susceptible than women to what is called an "overconfidence bias." "The evolution of overconfidence," a 2011 study published in the science journal, Nature, concluded that "overconfidence maximizes individual fitness...as long as benefits from contested resources are sufficiently large." "Sufficiently large" could well describe bonuses in the tens of millions of dollars to individual Wall Street traders and bankers. The cost of poor judgment to any individual: often no worse than dismissal with a generous severance package. Over the years, many cooler heads on Wall Street, men and women alike, found they were just not picked for the team. This form of unnatural selection, while common, has always been difficult to document. The high-profile MF Global case illustrates how the cult of personality overrode corporate policy to bring down an entire company. In testimony before Congress, former MF Global chief risk officer Michael Roseman explained how he was fired because of his concerns over the risks of MF Global's trading positions. He reported that former Goldman Sachs' co-CEO and New Jersey governor, Jon Corzine first strong-armed the board to approve the escalation of the disputed trades from $1 billion to almost $5 billion, then let Roseman go at a crucial moment: just prior to a board review of the positions in January 2011. MF Global was forced to liquidate in October of 2011. "I discussed my concerns about the positions and the risk scenarios with Mr. Corzine and others," Roseman testified. "However, the risk scenarios I presented were challenged as being implausible." The board and the CEO were fully appraised of the risks. But, they preferred to back Corzine, view the risks as "implausible" and fire the messenger rather than reduce the positions and admit they made a mistake. In her book, Bull by the Horns: Fighting to Save Main Street from Wall Street and Wall Street from Itself, Sheila Bair details the hostility and back-stabbing she endured while trying to ensure the safety of the banks under her watch at FDIC. Prior to the crisis, the banks were asking regulators to require even less bank capital against revenue-generating activities. The pressure for more profit for the banks and disregard for the risks of lower capital requirements reflected a general wave of sentiment in the financial industry that the "masters of the universe" had figured out, not just how to master profits, but how to master risk. The risk-takers rose to the top during this 1982 to 2008 golden age of risk, and when Wall Street fell, those top men used the same decisiveness and persuasiveness that got them the job to eliminate dissension and stay on top. "One could also argue," she continued, "that emerging from the economic downturn with even more homogeneous management teams is a big fail. Another downturn could have an outsize impact on our economy--which means this topic deserves an objective, fact-based discussion to determine whether greater diversity is not merely a nice or a "right" thing to do but the smart thing to do." Everyone now understands the game of institutionalized risk and individual rewards. New regulations mean to control risk. Even the smartest man in the room, Jamie Dimon, lost track of his profit and loss statement in the spring of 2012. The attributes that women (and many men who've been marginalized by the Wall Street culture) bring to the table; collaborative decision-making, a desire for more information, "common sense," and high sensitivity to risk--are all traits allegedly in demand. Wall Street excess and its powerful protection of its own interests almost killed the financial system. Yet when it seems most imperative that the culture of Wall Street change, for the sake of the economy even, entrenched interests remain strong and resistant to change. Reminded of her work habits from the early 1980s, Maryann Keller now laughs. "I thought I was going to die," she says. "It was so crazy. If you think about it, we had barely any technology. You were literally locked on the phone the entire day." Keller had to step back from her frenetic pace by the mid-1980s, briefly going into money management before joining Furman Selz for a satisfying dozen years building her expertise and network even further. Married for a second time, and adoptive mother to three grown children, Keller remains deeply involved in business, running her own consulting company, Maryann Keller and Associates, and serving on boards of companies and non-profits. But she thinks Wall Street is now less appealing to women. "The business has changed," she muses, "It is not as intellectually challenging as it used to be. It's more like cage fighting. Long-term investment today means a month; mathematicians convince themselves they can quantify risk in their arcane products that no one can understand; and fee structures are out of line with investor returns. No wonder people are cynical about Wall Street." Margo Epprecht is a writer based in Connecticut and New York City.